TPP trade agreement could make bio-piracy problem worse. The West’s infatuation with organic foods and natural ingredients can be found in pharmaceutical and agricultural companies, too. Just as they have since our earliest days, researchers today look to the botanic for the cure to what ails us. (Of course, “natural” and “organic” are somewhat fuzzy labels. Just this year, Naked Juices settled a class action suit for $9 million after their “all natural” juices were found to contain cyanocobalamin, Fibersol®-2, and pyridoxine hydrochloride.) Once a new miracle plant has been found, companies can process and profit. According to a 2012 European Union report, 26 percent of all new approved drugs over the last 30 years are either natural products or have been derived from a natural material, and that number is set to grow. Just think about the ascendency of the acai berry. But the commercialization of genetic resources found in biologically diverse areas like the Amazon and India comes with a cost. In a practice sometimes called bio-piracy, companies use patents to secure lucrative monopolies on plants, genes, and traditional knowledge in developing countries, often without cutting native people in on the profits. And the United States is apparently attempting to make this practice even easier for American companies. Bio-piracy was a key grievance of the anti-globalization movement of the 1990s and early 2000s. Activists still call it a form of “colonial pillaging,” particularly because accusations of bio-piracy are most frequently levied against European and American companies scouring the developing world for the next big thing. The Neem case was one such flashpoint. Foreign companies attempted to patent the use of the kernels of the Neem tree as a nonchemical pesticide, despite it having been used by Indian famers for that purpose for decades. Likewise, the British company Phytopharm claimed in the early 2000s to have discovered that Africa’s Hoodia was a miracle diet drug and very profitably sold it to U.S. pharmaceutical giant Pfizer. 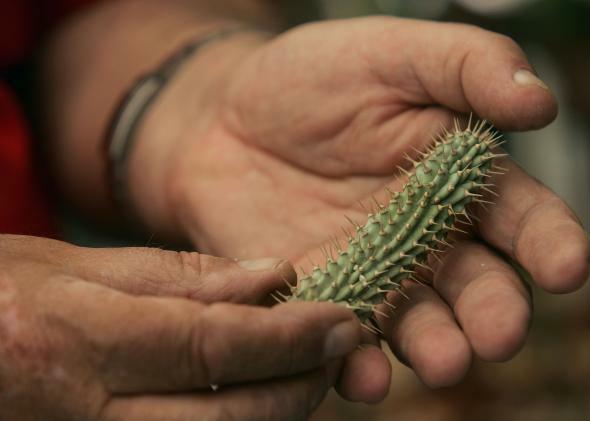 As it turned out, the Kung bushmen of southern Africa traditionally used the cactus as an appetite-suppressant on hunting trips, although Phytopharm neglected to compensate them for their knowledge. Phytopharm’s CEO even (incorrectly) told the Financial Times that fair repayment was impossible as the tribe was extinct. Equity is not the only thing at stake. If a company is able to patent and popularize the medical use of a particular plant, its harvesting often becomes environmentally unsustainable, which can make it impossible for locals to use the plant for their traditional—often medicinal—purposes. Though it rarely gets as much attention as other environmental issues, bio-piracy has been the focus of a number of international treaties, resulting in a growing array of protections that allow countries to benefit from and protect their native resources and ancient knowledge. Their rights have even been written into the 2007 U.N. Declaration on the Rights of Indigenous Peoples, which now states that “Indigenous peoples have the right to maintain, control, protect and develop … the manifestations of their sciences, technologies and cultures, including human and genetic resources, seeds, medicines, knowledge of the properties of fauna and flora.” Yet even as the European Union is exploring an agreement that would force companies to repay locals in the regions they exploit—based on the so-called Nagoya Protocol—the United States is running in the other direction and trying to take everyone along. The secret Trans-Pacific Partnership negotiation documents recently published by WikiLeaks show that the United States wants to give companies even more legal cover to patent the resources of other countries. The draft language would “make patents available for inventions for the following: plants and animals” and also allow “diagnostic, therapeutic, and surgical methods for the treatment of humans or animals” to be patented. The language is opposed by a number of countries that intend to eventually ratify TPP, including New Zealand, but the language could still make it into the final treaty—and if it does, it could undermine global efforts to provide proper recompense to developing nations for the use of their natural assets. So the next time you hear about a new miracle plant that promises to make you instantly thin, remember: Not only have many of these natural cures failed to live up to the hype—but they may also be exploiting native populations without fair compensation.